Ellen or Maria Domenica Quilietti was born on 10th November 1903 in the village of Castelvecchio Pascoli in Barga, Tuscany in Italy. She was baptised the next day with her uncle Giuseppe Quilietti as the sponsor in the Church of St. Nicolo’ in Castelvecchio Pascoli. 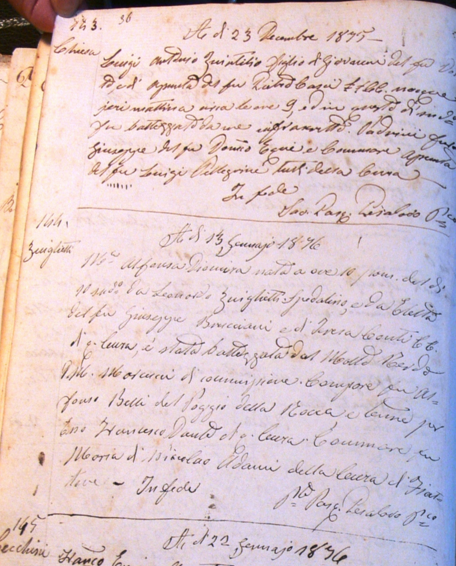 One year later was the start of the grand-exodus of the last of the Quilietti Clan from Italy. The family left the villages in stages but after the death of Leonardo in 1904 it seems that the last of the Q children were ready to spread their wings, just like their elder siblings had done two decades earlier. Ellen or Maria Domenica with her husband Louis Peter Pelligrini. 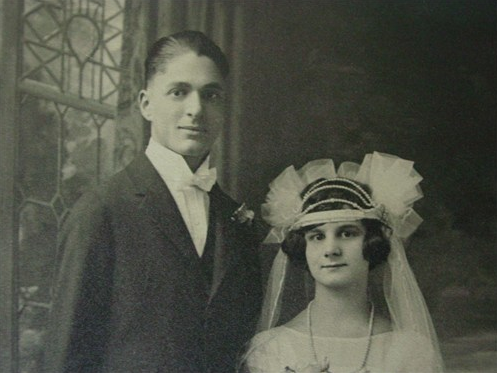 Photograph taken on their wedding day. 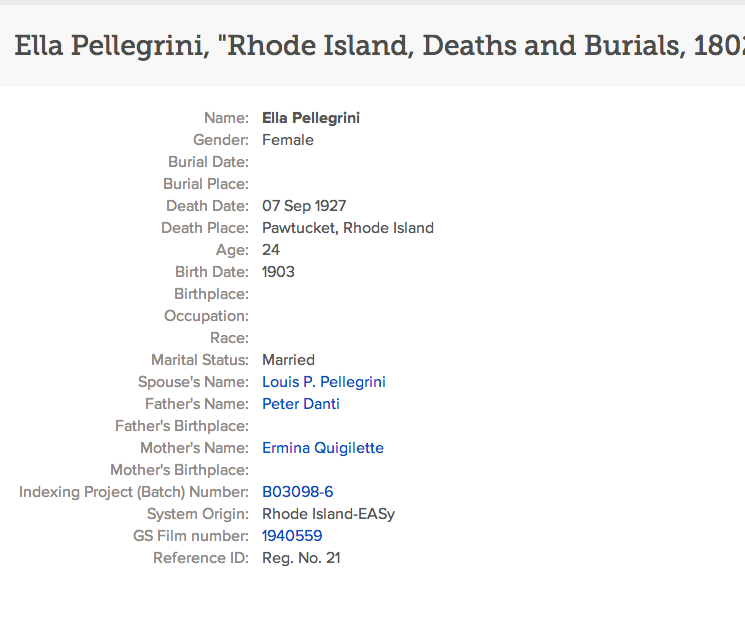 Her uncle Giuseppe was her sponser when she was born and it was with him that she was taken to Rhode Island in 1904. Ellen’s mother was Maria Domenica Quilietti. 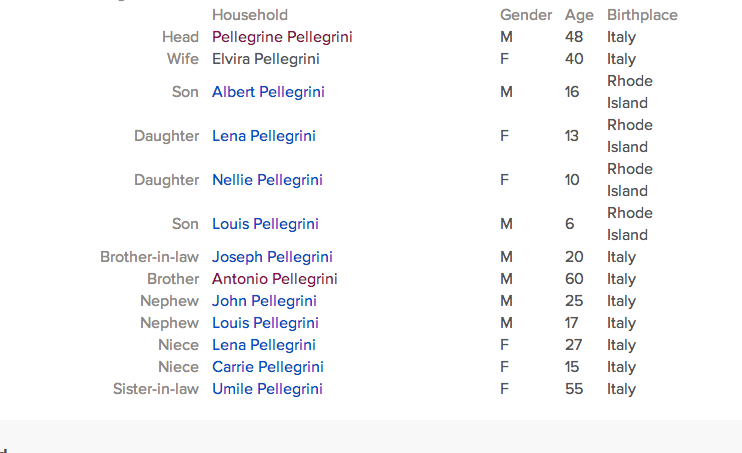 But when the family returned to Providence in 1904 it was Ermenia Quilietti and her husband [cousin] Pietro Dante who helped bring up the child they now called Ellen as their own. This was before the births of their own children. In 1905 Maria married another Italian Alfredo Benabio and their children came along the following year. 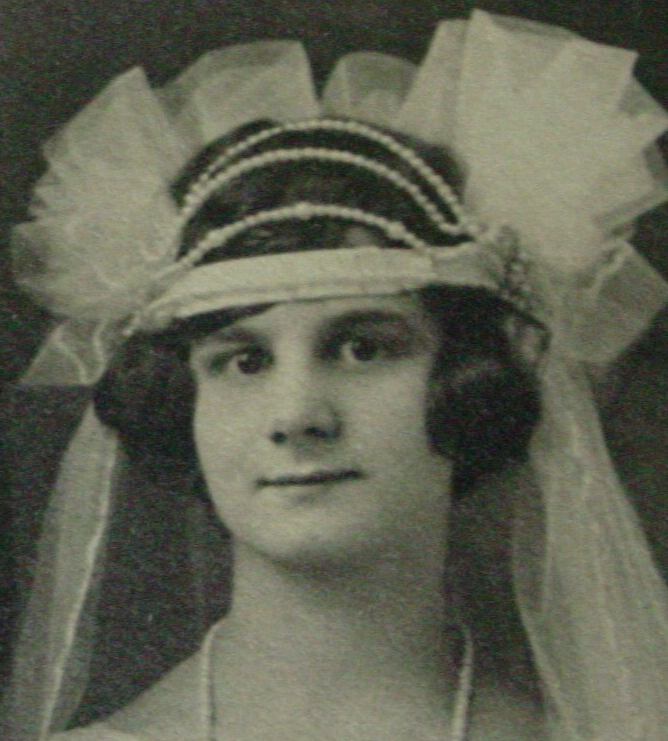 Ellen married in 1925 to a handsome Italian whose parents were from the same ancestral village as her own. They had one son who they called Edward who was born on 31st August 1927. Soon thereafter and very tragically Ellen died on 7th September 1927 we believe of a dilated heart after the birth of her son. 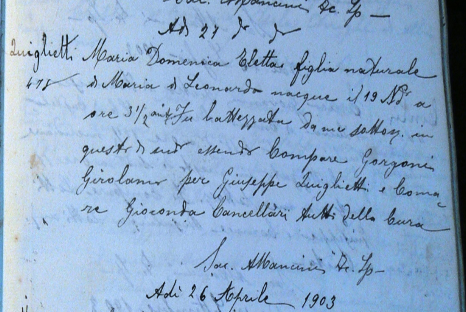 Ermenia Quilietti Dante was given as her mother’s name. Ellen lies with her father in law Pelligrino Pelligrini. She is registered here as Ella. We can see clearly now the family connections. Antonio Gonnella and Carolina Conti were the parents of Pelligrino’s wife Elvira. 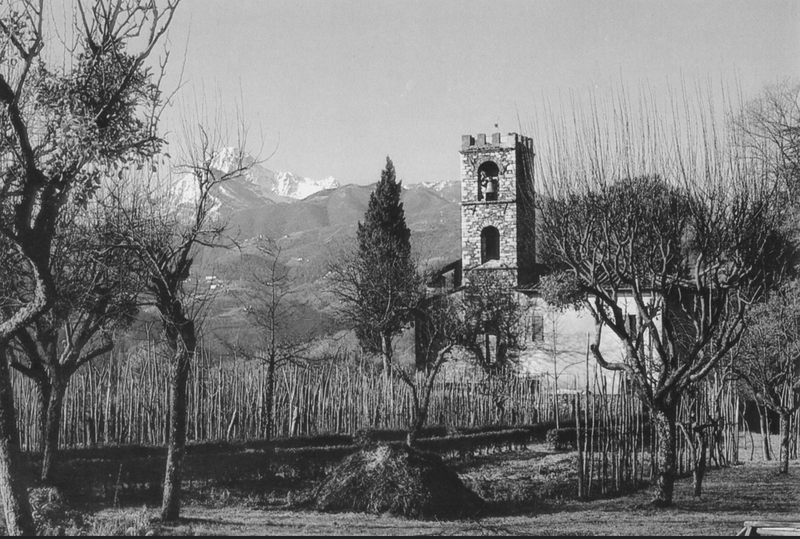 The four families came from Castelvecchio Pascoli and Barga. A couple of years later Louis re-married and Edward was brought up away from the Quilietti / Dante families in Rhode Island. He had many half-siblings. Here is a photograph of his ‘mum’ Marjorie with some of her daughters. Edward joined the Army during the second world war and was based at Ft. Devens, Massachusetts. His civilian profession was given as ‘Tinsmith, Coppersmith and sheet metal worker. It was only in 2014 after many years of searching that we have found this wonderful photograph of Ellen. We believe the boy was brought up with the family of Louis Peter’s second wife Marjorie Mason. 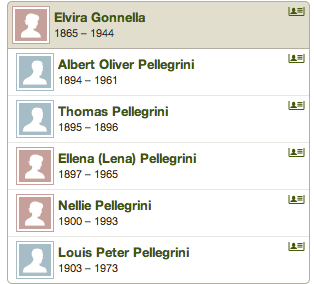 Louis Peter Pelligrini was the son of Pelligrino Pelligrini who was born in Barga in the year 1860. Louis’s mother was from the great Gonnella Clan also from the same area. Her name was Elvira Gonnella born 1865 in Barga. It seems they were first in Rhode Island in the year 1893. I can assume that Pelligrino travelled back and forth before finally settling here. It seems the family moved to Rhode Island soon after they married and some of their children were born in the USA. The archives tell us that Louis Peter’s year of immigration was 1907. 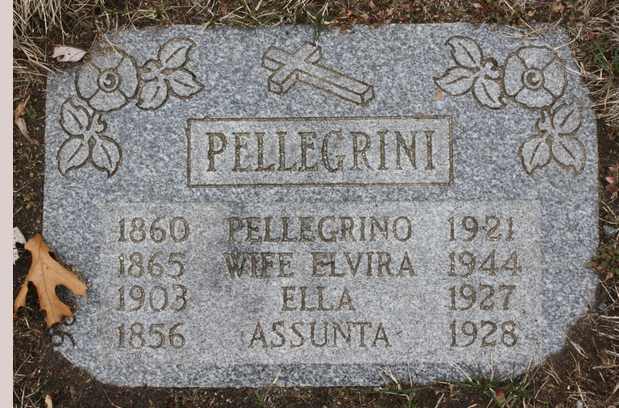 Pelligrino’s brother Antonio Pelligrini joined the family in 1909. 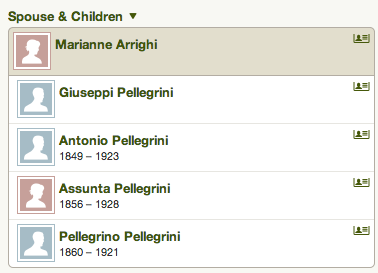 Pelligrino’s father was Louigi Pelligrini and he was married to another local family who were also from Castelvecchio Pascoli. Her name was Marriane Arrighi. The whole area is steeped in the history of these families. Many members of this branch of the Pelligrini family settled in Rhode Island. 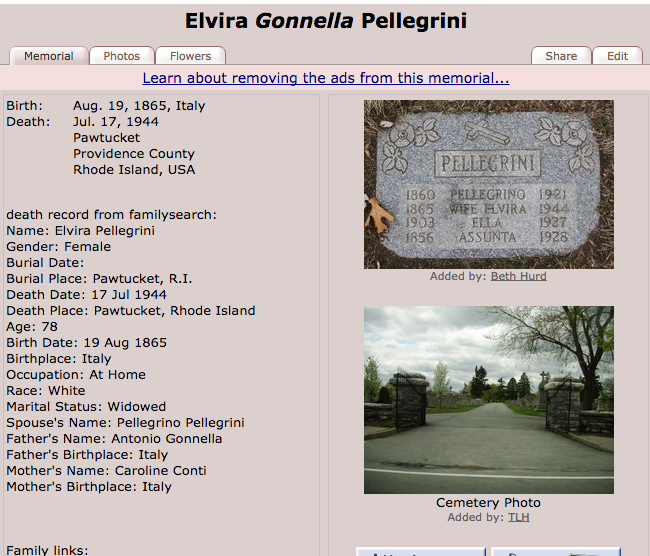 Elivira Gonnella was the mother-in-law of Ellen Quilietti.